"A New Thought for Choirs" is a growing collection of original pieces written for SATB choirs within New Thought and like-minded spiritual communities, centers, and churches. The lyrical themes are rooted in New Thought principles and ideas, yet all of them are decidedly universal and inspirational in their appeal. Permission to copy, print, distribute among your singers and musicians any/all of the above as needed or desired. For a Free Full Preview Package of any of the pieces below, just send an email to James@Jamesvandenburg.com and I will send you a full pdf and mp3 of any of these pieces. For most of these pieces, I also have available (at no additional charge) other individual instrumental parts and individual part practice mp3s. Shoot me an email (james@jamesvandenburg.com) and I am happy to send them to you. In an effort to accommodate various sized choirs/groups, there are three purchase price options based on choir size/ number of copies anticipated (you're all on your honor). If the above arrangement doesn't fit your budget or, if you feel that your specific situation or need doesn't fit into this type of categorizing, just shoot me an email at james@jamesvandenburg.com and I will be happy to work something out to fit your your budget. **Prices are based on current retail price for the octavo minus middle-man fees and percentages - the practice mp3 and vocals-only version are just added bonuses. I also have, over the years, created quite a collection (30 +) of custom arrangements for New Thought SATB choirs that I am happy to share. 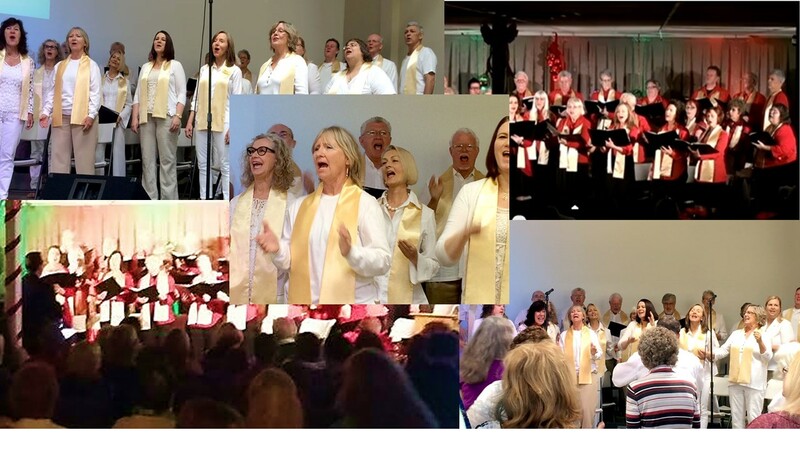 They range in style from Pop Music to Broadway favorites, from Chant and SATB settings of New Thought Favorites to re-settings of religious contemporary music and even a lot of the "in between." Email me at james@jamesvandenburg.com and I will send you the current list of arrangements and supporting choir rehearsal helps.